This lovely red torch work paperweight was made by Mike Hunter for Twists Glass in 2005. 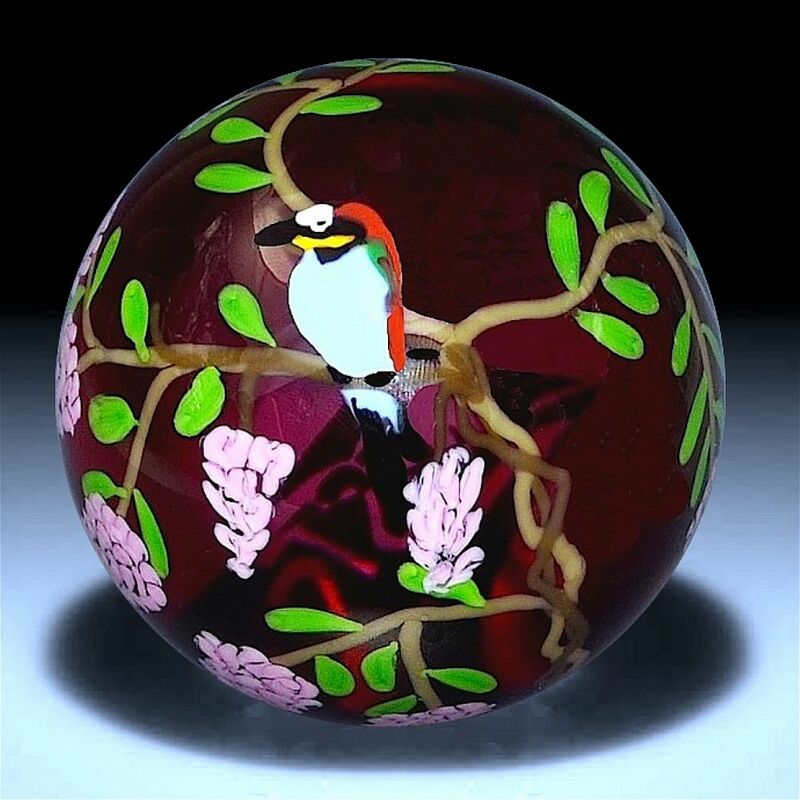 The torc work design is of a multi coloured bee eater perched amongst intertwining branches of exotic pink flowers and leaves. It is signed "M Hunter Twists 05 Bee Eater" and has Mike's personal cane ("MH") in the side.